I honestly believe that there’s no excuse for boredom. The world is a bizarre and wonderful place, filled with lost cities, mysterious creatures, and strangely-shaped food. However, you’re unlikely to discover any of them sitting on your couch. (Although sometimes you can find them while sitting at your computer.) But if you conjure some curiosity and take the time to investigate a few of life’s mysteries, your dull moments will begin to feel few and far between. Which brings me to the subject of this post. 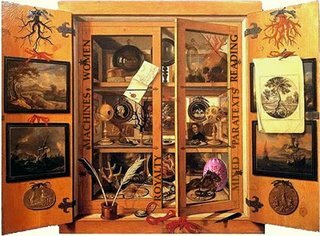 I recently learned about the Athanasius Kircher Society, a group named for a 17th century German scholar, whose many areas of interest and expertise included Egyptian hieroglyphics, Chinese dragons, automatons, the plague, and volcanoes. The Society is dedicated to exploring “the wondrous, the curious, the singular, the esoteric, and the sometimes hazy frontier between the plausible and the implausible.” Its fantastic blog features short posts (with links) devoted to a host of amazing (and often creepy) subjects. Among my favorites are . . . I recommend taking a look through the Athanasius Kircher Society’s online archives. But as anyone who clicked on the last link knows, some subjects may require a strong stomach.